The world is a dark and scary place, but at least there’s one bright spot we can all latch onto: Tonight, there is peace among Hellboys. 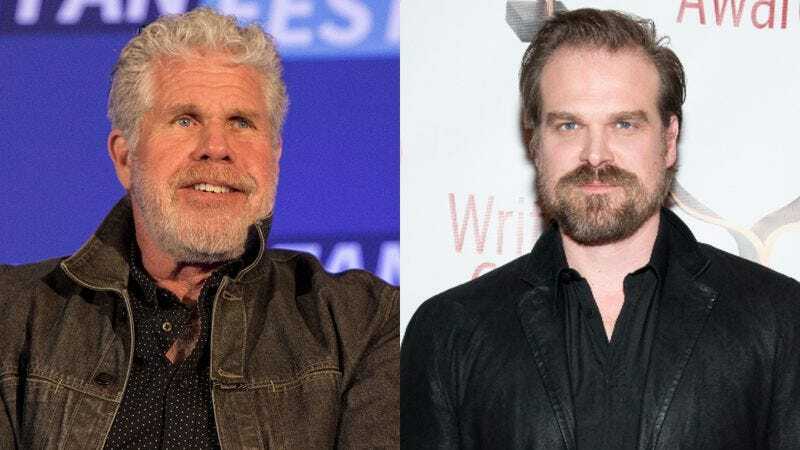 The Hollywood Reporter says that old Hellboy actor Ron Perlman and new Hellboy actor David Harbour recently met up at the behest of comedian Patton Oswalt, who apparently convinced the two Hellboys to shake their Right Hands Of Doom and sit down to a friendly dinner. In early May, Millennium Films announced that it was rebooting the Hellboy series, with Neil Marshall replacing Guillermo Del Toro as the director and Harbour replacing Perlman as Hellboy himself. Del Toro’s two Hellboy movies were very important to Perlman, and though he hadn’t spoken publicly about the reboot until now, his co-star Jeffrey Tambor seemed to echo a lot of people’s feelings when he criticized the “loyalty” of Hellboy creator Mike Mignola. It’s unclear if Oswalt intends to settle any other pop culture beefs, but there’s probably nothing he can’t fix without a big dinner and what sounds like a healthy supply of wine.